For decades, the Kennedy family has been surrounded by rumors about all manner of events in family members’ personal lives; these rumors are arguably one of the reasons we as an American public keep tabs on the Kennedys. 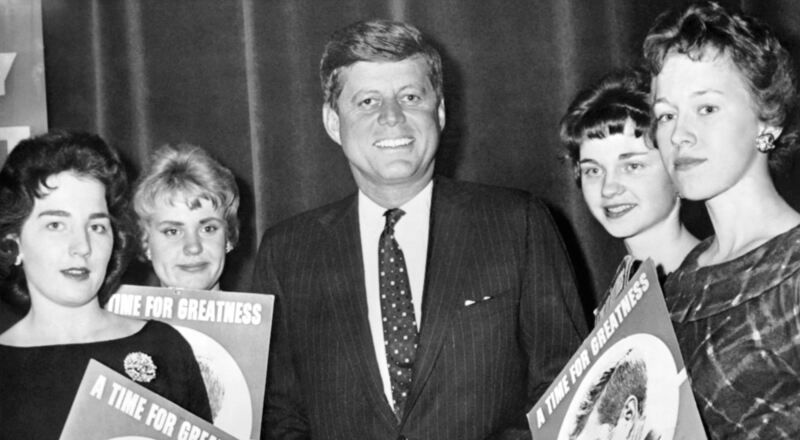 And the cult of celebrity that has sprung up around President John F. Kennedy in the years following his assassination means that any shocking story connected to him, in particular, might result in extra attention and speculation. Such is the case with People magazine’s resurrection of the topic and the subsequent inquest into the death of Mary Pinchot Meyer, alleged mistress of JFK, who was murdered under mysterious circumstances. While a possible suspect was fingered, there have been no conclusive results about who killed Pinchot Meyer or why. Some have gone as far as to speculate that the only way to logically explain Pinchot Meyer’s death is to connect the dots back to JFK. It’s all very interesting, to be sure, but should be taken with a grain of salt. Burleigh’s thorough examination of Pinchot Meyer’s murder for The Daily Beast is juicy, to say the least, and well worth the read, but what it does make clear is that Pinchot Meyer was too well connected for her own good. She was reportedly a vibrant and intelligent woman who began indulging in the counter-culture of the 1960s before the counter-culture became a thing. Her ease with those who were a bit more starched-collar and stiff upper lip is implied, in many accounts, to have helped her find a place in Kennedy’s heart as well as the secret echelons of Washington, D.C., and the like. It’s believed that the timing of Pinchot Meyer’s murder is no accident. With fears that she was already being covertly assessed — “I was told in the last few years of her life, she told friends that she thought people were breaking into her house, rifling through her things,” Burleigh noted — Pinchot Meyer’s late life was one shrouded in mystery. Despite living in an artist’s studio in Georgetown following her divorce, the feeling of freedom and possibility permeating her life, she was murdered shortly after the release of the Warren Commission’s report. The documents from the Warren Commission detail a full analysis of the assassination of Kennedy. The belief here is that Pinchot Meyer’s name may have come up during this time and possibly the conclusion was made that she was too much of a liability, given her proximity to classified information, to remain alive. So, on October 12, 1964, Pinchot Meyer “was shot in the head. Passersby heard screams and a witness looked over the wall and saw a man standing near her body. The police came and shortly arrested a black male [Ray Crump Jr.] soaking wet who said he fell into the Potomac while fishing. […] No gun was ever found,” Burleigh told People. The investigation into her death trailed off and, for now, remains one of the most elusive mysteries in the history of Washington, D.C.
What’s clear is that this story and its connection to JFK tells us that his life was far more complex and perhaps darker than we like to remember. As for Pinchot Meyer, her life it seems was vibrant and full of possibility; that she seems reduced to an enigmatic footnote in this life of an American president feels wholly unfair.